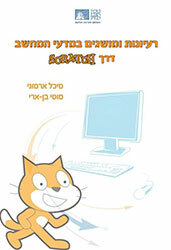 The books is available in both English and Hebrew for download under the CreativeCommons BY-NC-ND license. The web pages include archives of Scratch programs for the examples and exercises. Hardcopies of the Hebrew book can be purchased from Tarbut la-Am.